11 seasons of IPL have gone by and no single franchise had dominated this tournament as much as Chennai Super Kings. They have qualified for the playoffs in every season and along with Mumbai Indians, they are the only team to have lifted the coveted trophy thrice. 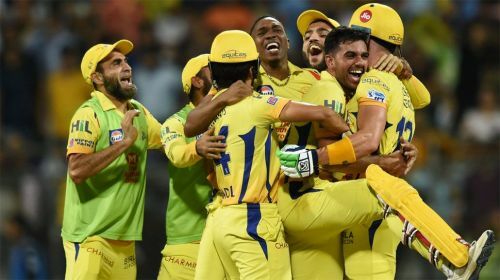 Last year, the comeback of Chennai Super Kings after a two-year ban was an emotional one for the fans and it ended on a fairy tale note as they beat Sunrisers Hyderabad in the final to lift the trophy. The thunderous response they got in the practise sessions which gives an idea on what we can see in the opening game. CSK owed a lot of their success to veterans such as Dhoni, Watson and Rayudu while the youngsters played a minimal yet crucial role in their campaign. In the forthcoming season also, CSK are expected to trust a lot of their veterans but they do possess a promising group of youngsters who might play a decent role in their campaign. When IPL began in 2008, CSK was among the few teams who put a lot of faith in youngsters rather than legendary players and they reaped rewards for their trust in young guns. Since most of the players in the starting eleven of this CSK team are in the twilight of their careers, a major revamp is just around the corner and the youngsters will play a crucial role during this transition period. The CSK roster consists of a fairly inexperienced set of youngsters who are yet to leave their mark in the IPL and there is a good chance of them being used as a weapon to surprise the opposition. Sam Billings, Mitchell Santner and David Willey might be still young but they are experienced in this format of the game and hence this article will not deal with their impact. Here are the three youngsters who might play a crucial role in the campaign of Chennai Super Kings. 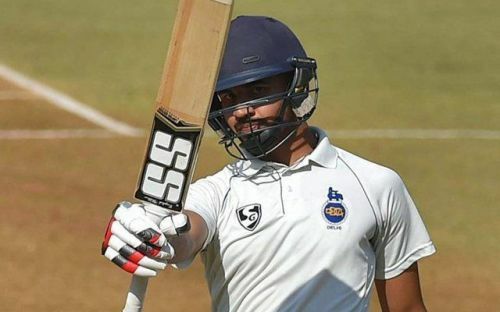 Since his debut in the 2015-16 Ranji trophy season, Dhruv Shorey has been one of the most consistent performers for his team Delhi. His technique and temperament are most suited for batting at the top of the order. CSK could pair him up with a more explosive batsman and Shorey could play the role of an anchor at the top of the order. He has scored 1873 runs in first-class cricket at a healthy average of 52.02 which is further proof of his ability to play a long innings at the top of the order. He has featured in 27 T20s so far in his career and has scored 605 runs which include 5 half centuries at a strike rate of 122.71. In the recently concluded Syed Mushtaq Ali tournament, he showed a good amount of composure in a tense chase by scoring 62* and guided his team home with a six in the last over.